Strictly Dancing Panel BBC Radio Gloucestershire Elaine is delighted to be back on Mondays at BBC Radio Gloucestershire with Dominic Cotter at 12pm. 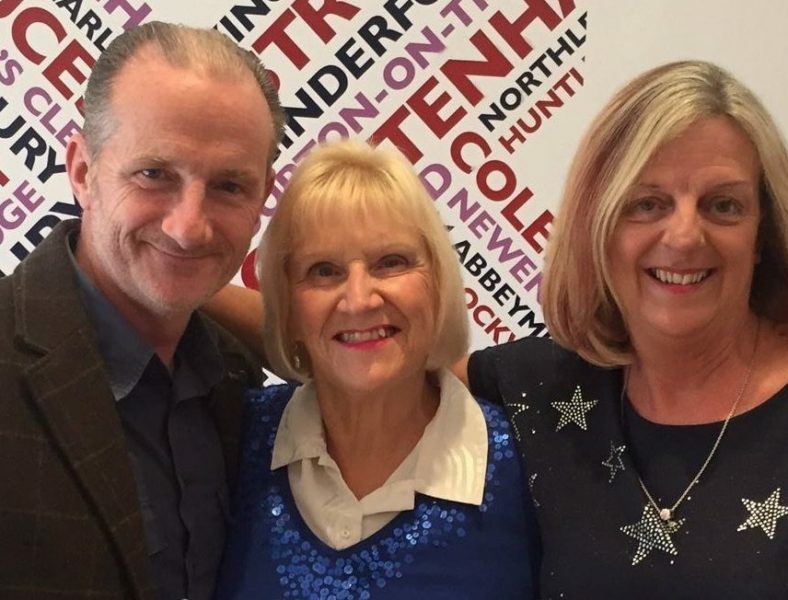 Every week the Strictly panel – Elaine Proverbs, James Hamilton and Linda Cook will give their comments on the ballroom and latin dances following the show on the Saturday night. It is great fun to be able to give comments and opinions on how the celebrities and the Professional dancers are progressing. Strictly Come Dancing this year has a new Head Judge Shirley Ballas and three new Professional Dancers. It is sure to be a favourite to watch. Why not come along and give yourselves your own Strictly Challenge and learn to dance ballroom and latin with Elaine & John at Elaine’s Dancing School www.elainesdancing.com in Gloucester and Stroud. We would love to see you all and welcome new beginners.